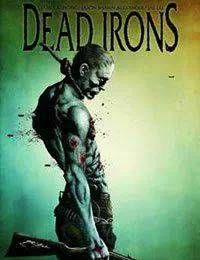 Three undead bounty hunter siblings blaze a path of death and destruction across the old west as a lone tortured soul tracks them, hoping to put an end to the curse upon his family. This years biggest supernatural western tale is collected here for the very first time! Written by James Kuhoric (Freddy vs Jason vs Ash), illustrated by Jason Alexander (BPRD), and based on character designs and covers by Jae Lee (The Dark Tower).